Z nakupom tega izdelka lahko zberete do 28 točk zvestobe. The frequency and transient response of this transducer has been voiced to complement today's modern recording techniques, and yet still evoke the silky smooth character of the legendary microphones of the 50's and 60's. 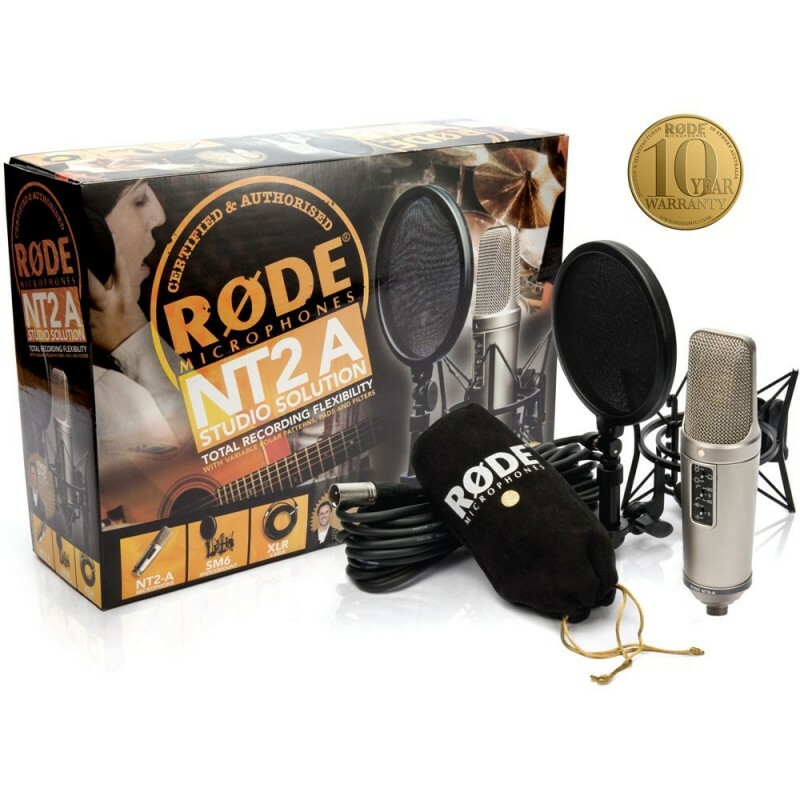 Its superlative audio characteristics combined with the included SM6 shock mount with integrated pop filter, 3m (10') XLR cable and dustcover, make the NT2-A one of the most versatile condenser microphones available. *You must register your mic FREE within one month of purchase, at: www.rodemic.com to receive your 10 Year Warranty.